This is the 46th anniversary of Princess Cruises' first sailing. December 3, 1965. Costa Cruises has an interesting holiday tradition on most of their ships. Each year for the last few years they have hired some well-known chefs (in Italy) to create some very special (read: outstanding) menus for Christmas dinner and dinner on New Year's Eve. This year 2-Michelin-star chef Carlo Cracco and one of Italy's most popular TV chefs, Benedetta Parodi, have been tapped to create the highly anticipated meals. They will collaborate with Costa's executive chef Stefano Fontanesi who will make sure everything translates well into the Costa galleys. The Holiday Menus are shown below. The complete article appeared in the December 2, 2011, edition of Cruise News Daily. Now here's something you don't see every day. In this video, it looks like lipstick is being applied to AIDAmar, AIDA's next vessel under construction at Meyer Werft in Papenburg (Germany). You don't need to understand the German in this video to know the new ship is having AIDA's iconic red lips painted on its bow - a sign that construction is proceeding on schedule for delivery in May. 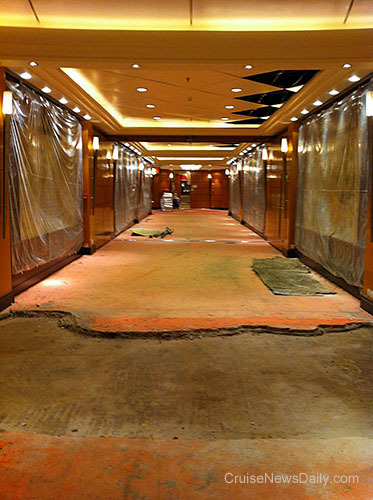 Today Cunard has sent us our first video update from Queen Mary 2's refit. Entertainment director Paul O'Loughlin takes us through some of the work that is going on in the first days (Nov 28-30) of the two-week project. (Actually, the ship doesn't seem like it's in the same disarray you usually find during a refit. 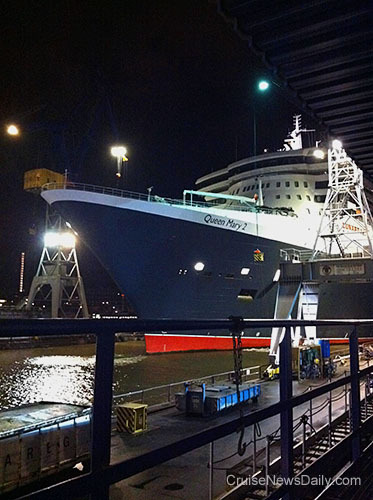 Of course, you don't normally find anyone in a suit and tie in a dry dock, but then again, this is Cunard.) The project is being carried out at the Blohm+Voss yard at Hamburg. From some corporate changes at Carnival Corp in the UK, it appears three of the company's US-based brands are positioning themselves for higher visibility and significant penetration of the UK source-market. Until now, the Carnival Cruise Lines, Holland America and Seabourn brands have all shared small joint facilities and staff in the UK and have been represented to the public and the trade via general sales agents. Holland America and Seabourn will now share operations as they do in North America, and the Carnival brand will have its own facilities. Both are transitioning away from general sales agents in favor of their own staff. from Miami to head Carnival Cruise Lines UK operation as managing director of Carnival Cruise Lines UK sales and reservations office in London, while the Holland America/Seabourn operation will be headed by Lynn Narraway as managing director and Wendy Lahmich as director of sales. The complete story appeared in the December 1, 2011, edition of Cruise News Daily. It happens every year about this time. Snow is forecast for the atrium of almost every ship in the Princess fleet. And the forecast is always 100% correct. It snows each evening around the holidays, and sets the mood for all the special holiday activities Princess has in store for their passengers. There are so many holiday-themed things going on aboard Princess ships between now and New Year's, on so many different levels, that passengers will wonder if they are on a cruise or in the middle of a holiday spectacular. The holiday observances will range from religious (Christmas and Hanukkah) to secular, and include everything from decorations throughout the ship (even a Christmas tree on the mast) to special holiday music and entertainment. Special events will include everything from the traditional (holiday meals and a visit from Santa Claus) to whimsical (a gingerbread house building competition and a giant Yule log burning on the huge poolside screen). Last month Carnival Corp luminary Maurice Zarmati announced his retirement as president and CEO of Costa Cruises North America. Today, Costa said it's going to take two men to replace him. Ruben Perez has assumed the new position of general manager of the North American office at Hollywood, Florida, reporting directly to Costa's Genoa headquarters. Filling the other portion of Zarmati's job will be Scott Knutson who has become the VP of sales and marketing. Knutson came to Costa three years ago after spending 20 years in sales and marketing with sister brand Carnival Cruise Lines. Perez has been with Costa for the past 28 years. Zarmati has been retained as a consultant to Costa Cruises for its worldwide sales, marketing and passenger-traffic initiatives. Royal Caribbean's Splendour of the Seas returned to service after undergoing the month-long revitalization process at Cadiz (Spain). During the process, features and venues from the newest ships are added to the line's older tonnage. Four of those new venues/features are shown below. Splendour returned to service last week and is now crossing the South Atlantic to its winter home in Brazil. The Life of an "Aqua Captain"
As cruise lines evolve and offer new features, new positions, never imagined a decade or two again, are created. I remember a few years back interviewing the gardener on the first ship to introduce live shrubbery and plants. Just a few years, I talked with professional ice skaters who told me when they were doing competitive skating, and they considered where their careers could take them, they never imagined they would be skating in an ice show on a cruise ship. Just thee or four years ago, the position of "aqua captain" didn't even exist. Dance captains had been around for years, but there was no need for anyone to be in charge of the divers and swimmers until Oasis of the Seas came along. Now Royal Caribbean has two of them, and this week, one of them was a guest blogger for Royal Caribbean. The three levels we have in our aqua shows, “Ocean Aria” and “Let You Entertain Me”, are a 3 meter springboard, and a 10 and 17 meter platform. All of the divers in our cast dive from the 3m springboard, and the 10m platform. However, only our two featured high divers can dive from the 17m high dive. Before each Ocean Aria performance, we have a half hour warm up period where the lifts and boards are down so we can do a few dives. At 8 o’clock the stage staff presets the props underwater, so we have to get out of the pool. After this we have an hour to stretch and warm up until the show starts at 9:00 PM. In between shows we usually grab a bite to eat, and if necessary, fix any problems that occurred in the first show. During the course of a regular week, we have two “Ocean Aria” performances on Sunday, Monday, and Tuesday, and two “Let You Entertain Me” shows on Saturday. MSC Fantasia, MSC Poesia and MSC Melody recently met in Genoa, making for some beautiful visuals of three ships, of three distinct sizes and designs, including the classic Melody. Ports have become more and more important to Carnival Corp's business over the years. The company has invested in and built (and operates) a number of ports. Some are high-profile and known to the customers of the company's brands, such as the Grand Turk Cruise Center, or Half Moon Cay in the Bahamas. Others aren't quite as obvious, such as Cozumel or St. Maarten. Some are complete destinations, while others simply guarantee them space at a pier and some amenities for passengers as they leave the terminal. Until now, the Caribbean ports have been developed and administered in Florida, and the European ports, in Italy. Carnival has now created a new Global Port and Destination Development Group which will have responsibility for port projects and operations worldwide. It will be headed by SVP of global port development, Giora Israel. That doesn't mean everything will happen in Florida, however. An office will also be created in the UK for the development of strategic port projects in Europe and the Mediterranean. The new division more or less elevates ports to the same stature within Carnival Corp as another cruise brand. 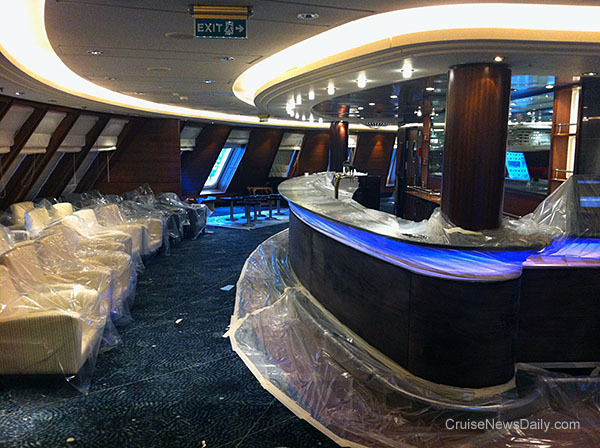 The complete story appeared in the November 30, 2011, edition of Cruise News Daily. Several environmental groups are promoting the fact that cruise lines fill up on water when they visit South Florida ports, while at the same time, area residents and businesses are subject to water use restrictions. Local water rules don't restrict cruise lines' water at all, even at times when emergency restrictions are in place. Cruise lines also get preferential rates for the water they buy. The groups say the industry takes enough water from South Florida ports annually to supply a city of 30,000 people. The issue isn't getting much traction in Florida, however, because residents realize tourism is a major cash generator for the state's economy, and they have to make allowances. An anti-cruise group succeeded in blocking - physically - a small ship from American Safari Cruises from docking at Kaunakakai Harbor, Molokai in Hawaii on Saturday morning. The local protesters, who don't like the fact that cruise ships - even though they are small - are coming to Molokai without any community input, blocked the ship's path with surfboards and small boats. The captain continued on to Lanai, the next port of call. The ship did return the next day, without any public announcement, and had docked by the time protesters arrived at the port. ASC had called at the island twice before in recent weeks and was met by protesters on land, but their demonstrations were ineffective. Two more Molokai calls are scheduled in the next weeks. Not everyone on Molokai is unhappy about the cruise calls, tour operators and other local businesses were extremely disappointed by Saturday's cancellation. The incident does have unsettling overtones for the cruise industry in Hawaii, and we looked at the story from several sides - including where the protesters got the idea for blocking the ship's arrival - in the November 29, 2011, edition of Cruise News Daily. The main reason a ship goes into a dry dock is to do the maintenance below the waterline, under the ship, that can't be done while the ship is in the water. In this video, Royal Caribbean shows some of the projects that were accomplished while Splendour of the Seas was out of the water recently during a 30-day dry dock. The Bahamas Express will start a round trip ferry operation from Port Everglades (at Ft. Lauderdale) to Freeport, Bahamas on December 9, 2011. The ship will depart from Cruise Terminal 1 at Port Everglades, near the Convention Center. Parking is available at the Northport Parking Garage. The line will use the fast ferry Pinar del Rio which sails at a speed of 32 knots and has a capacity for 463 people. Amenities aboard include a bar, a duty-free shop, pet cages and a baby changing area. The service will operate daily except Wednesdays, departing Port Everglades at 10am and returning at 10pm. The trip will take between two and three hours. The Bahamas Express is operated by the Balearia Group, a Spanish shipping company which has operated for 13 years in the Spanish Mediterranean. Costa Cruises said today the 16th ship in their fleet, the 114,500-ton Costa Fascinosa (Italian for "fascinating"), will debut on May 2, 2012 with a cruise from Venice to Savona (near Genoa) where it will be named on May 6. The 3800-passenger ship is currently in the final construction phase at Fincantieri's Marghera shipyard. The ship's official inaugural cruise will be an 11-night voyage from Venice on May 11, 2012. 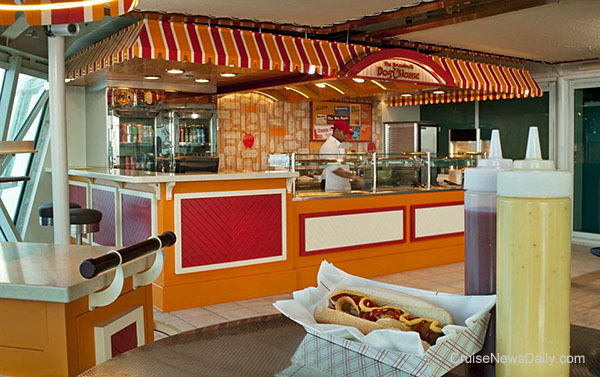 The Muppets will debut aboard aboard Disney Fantasy when the ship enters service in March 2012. The popular characters will appear in a new adventure game aboard the ship. In the fast-paced game, passengers will follow clues around the ship to solve a mystery involving the 20 Muppet characters. 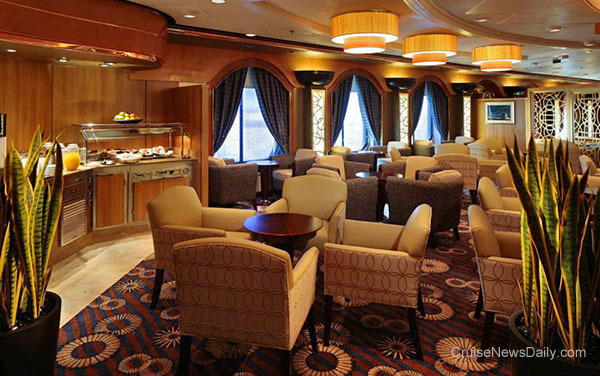 Complete details appeared in an article in the November 29, 2011, edition of Cruise News Daily. Norwegian Cruise Line announced they are offering a pre-cruise concierge service for passengers booking suites in The Haven, their most luxurious suites aboard Norwegian Epic and their Jewel-class ships. 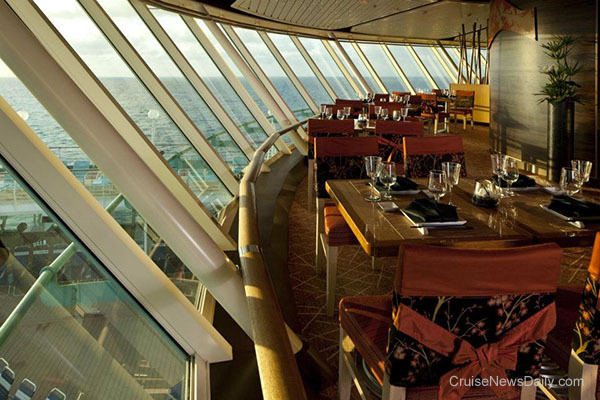 The concierge desk will handle arrangements for dining, entertainment (especially useful on Norwegian Epic) and other services. The complete article appeared in the November 28, 2011, edition of Cruise News Daily. The US Coast Guard medevaced a 77-year-old woman from Carnival Spirit on Saturday (November 26, 2011) as the ship sailed 230 miles southwest of San Diego. The Coast Guard was contacted at 12:30pm requesting a medevac for the woman who was experiencing symptoms of a stroke, and they dispatched an MH-60 Jayhawk helicopter from San Diego and a C-130 Hercules aircraft from Sacramento to provide communications and coordination. Once on the scene, as can be seen in the Coast Guard-provided video, a rescue swimmer was lowered to the ship's aft deck to assist in hoisting the people from the cruise ship. Notice the speed at which you can see the ship moving through the water, and the skill needed by the helicopter pilot to coordinate and remain virtually motionless over the deck during the transfer. You first see a nurse from the ship being lifted to the helicopter, followed by the patient in a second basket, and finally the rescue swimmer being retrieved. The helicopter returned to San Diego at approximately 6pm, and the patient was transferred to a San Diego area hospital for treatment. 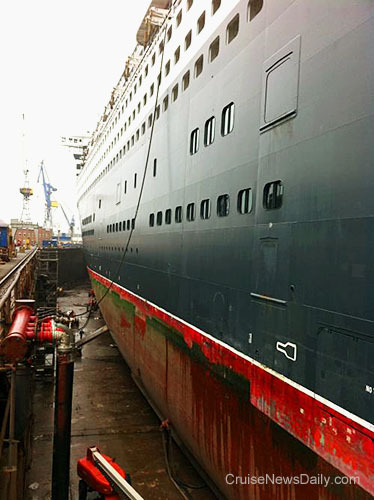 Cunard Line's Queen Mary 2 entered the dry dock yesterday at Blohm + Voss at Hamburg. The line plans interior work on the ship as well as the required mechanical work and routine maintenance under the ship. Here QM2 is shown arriving at the Hamburg facility. Due to the prep work while the ship was traveling to Hamburg, the Golden Lion Pub is ready for work to begin as the ship arrives in dry dock. 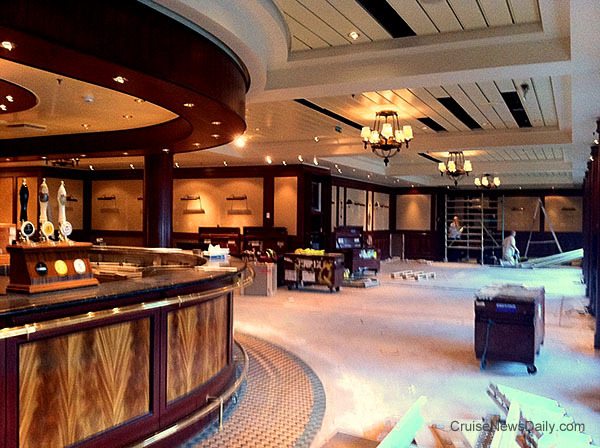 When the ship returns to service, QM2's Golden Lion will look more like the pubs on Queen Victoria and Queen Elizabeth. A few hours after arrival in the dry dock, the water has been drained, and Queen Mary 2 is sitting high and dry. During the preparation for the dry dock, everything not being removed is covered to protect it, as can be seen in the hallway on Deck 2. This applies not only to hallways, but all public rooms. Protective covering has been taped down on everything in the Commodore Club. 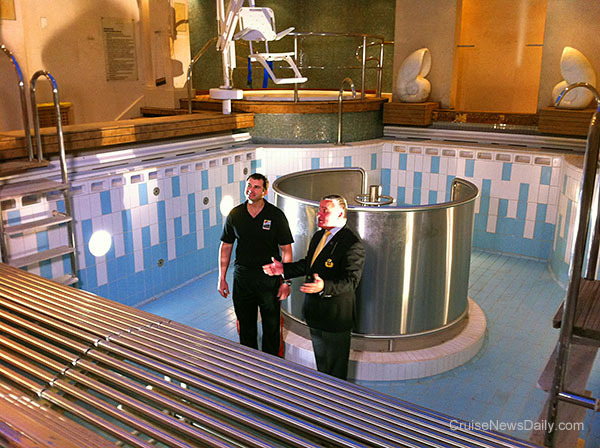 Here the whirlpool in the spa has been drained for maintenance there. The spa manager and entertainment director are shown in the the empty pool recording a video entry for Cunard's blog, "We Are Cunard." 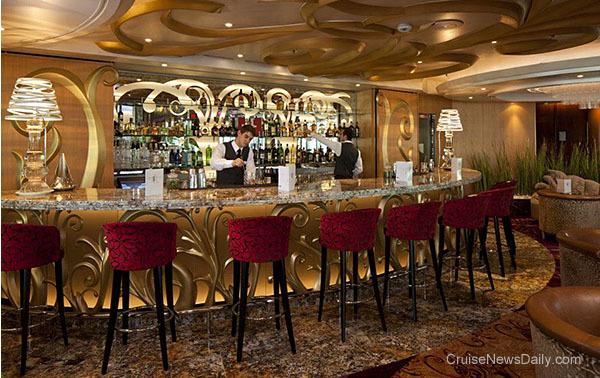 Photos courtesy of Cunard Line.